Jomama's Rock & Roll Joyride is taking over midday's from 10A-3P weekdays! Board the magic bus and get this show on the road 5 days a week. Jomama plays your Rock & Roll favorites and takes some curves on two wheels with modern tracks that jam. Nobody said said Rock & Roll wouldn't be dangerous. 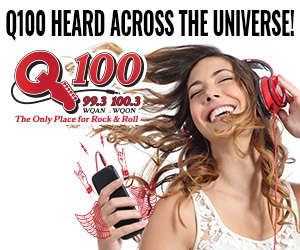 Rev up your requests and ride along with Jomama's Rock & Roll Joyride Monday through Friday from 10A-3P on Q100 - The Only Place for Rock & Roll!